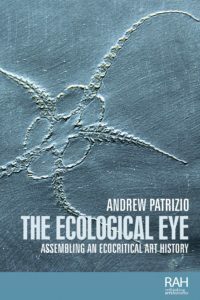 The ecological eye made me realise how much art history can contribute to better ways of thinking about the environment and ecological crisis. Felix Guattari The Three Ecologies or, outside my field, Murry Bookchin The Ecology of Freedom. Not in a physical sense, but intellectually it led me to an extraordinary amount of inspiring writing that exists right across the environmental humanities – from literature, anthropology, politics, geography, critical animal studies and theory. On top of that, I also had to engage with ecology, natural sciences and some really old classics, like Peter Kropotkin’s Mutual Aid or Karl Polanyi’s The Great Transformation – neither of which are discussed much in art history. I deliberately mix longhand with outline drafts using Scrivener and Workflowy software. Then it goes into Word for polishing. I also wrote some key parts of The ecological eye in a holiday caravan park in Kintyre, on the west coast of Scotland. It was a quiet holiday park! Their Rethinking Art’s Histories was the perfect series, with great editors. Also many colleagues at Edinburgh had worked closely with Manchester University Press and enjoyed the experience. I love the collaboration with them and the fact that the book is coming out in three formats straight away (paperback, hardback and eBook). Another possible monograph on the ecological-cultural dimensions of the year 1972. This cropped up as a surprisingly rich year in my book research but no one realises how it was such a great year for new kinds of eco-thinking. Share drafts more widely with colleagues. It takes bravery but is rarely a mistake, in my experience. Peter Kropotkin’s Mutual Aid. I’m attracted to large, polymathic books that pull together incredibly diverse material. Kropotkin’s anarchist classic uses the idea of symbiosis and mutuality to give a history of the biosphere from cell-life to contemporary society. It’s an amazing achievement and I don’t care if biologists might dispute it! Philosophy, ecological / nature writing, contemporary fiction, feminist writing.